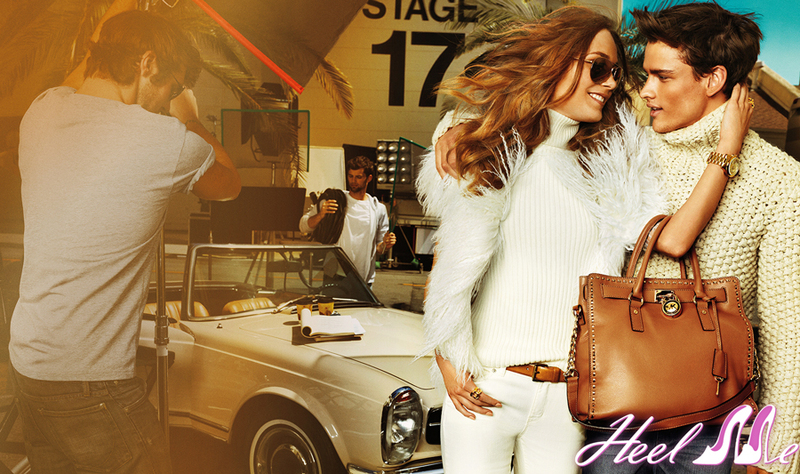 The advertising campaign for Michael Michael Kors Fall 2012 season combines two of the favorite themes of the designer: the jet-set style and the glamor of Hollywood. Photographed by Mario Testino at Paramount Studios in Los Angeles, captivating images draw inspiration from the scenery of the golden age of Hollywood. Models Karmen Pedaru and Simon Nessman starring in the fifth campaign for the house and appear as modern versions of the 30’s idols Carole Lombard and Clark Gable. The campaign will be launched in August in the international press and electronic media, and video from backstage will be screened at the recently renovated DestinationKors.com.